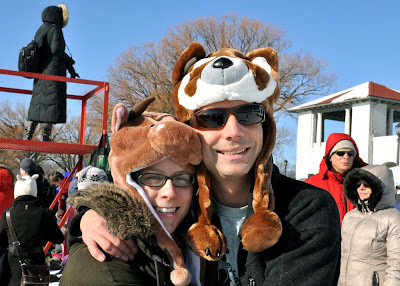 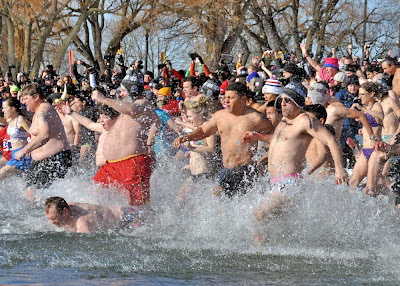 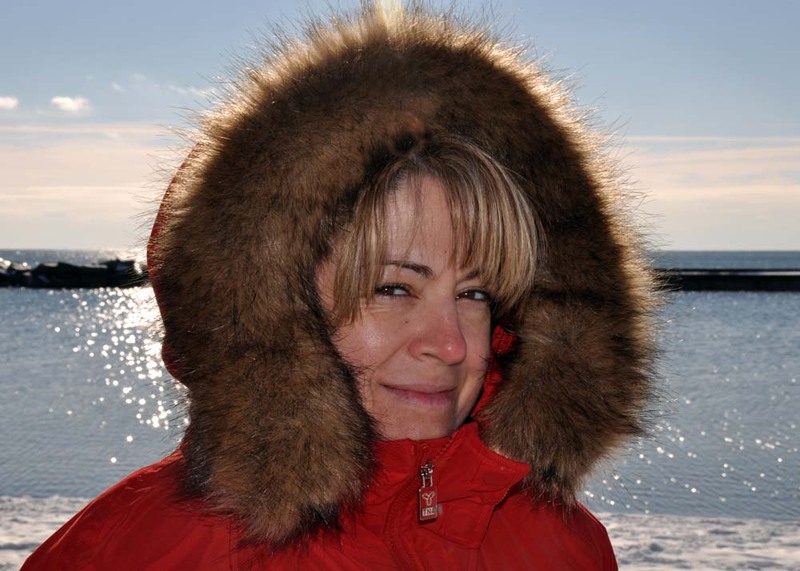 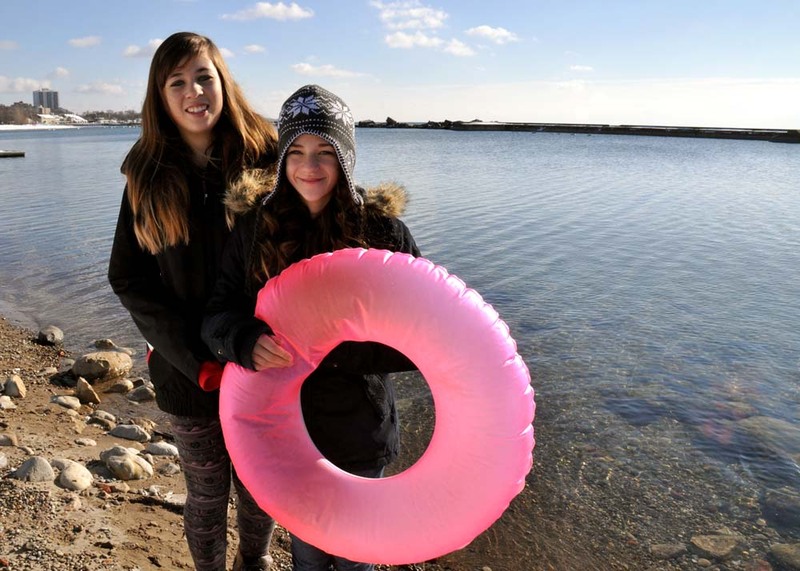 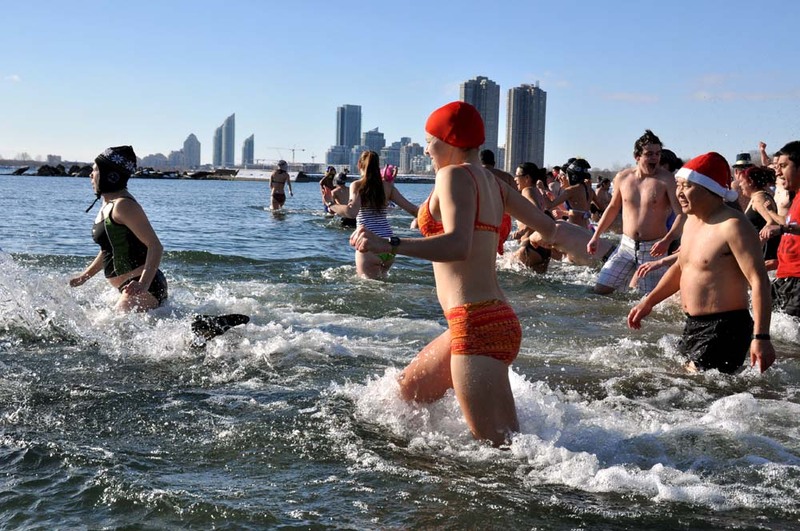 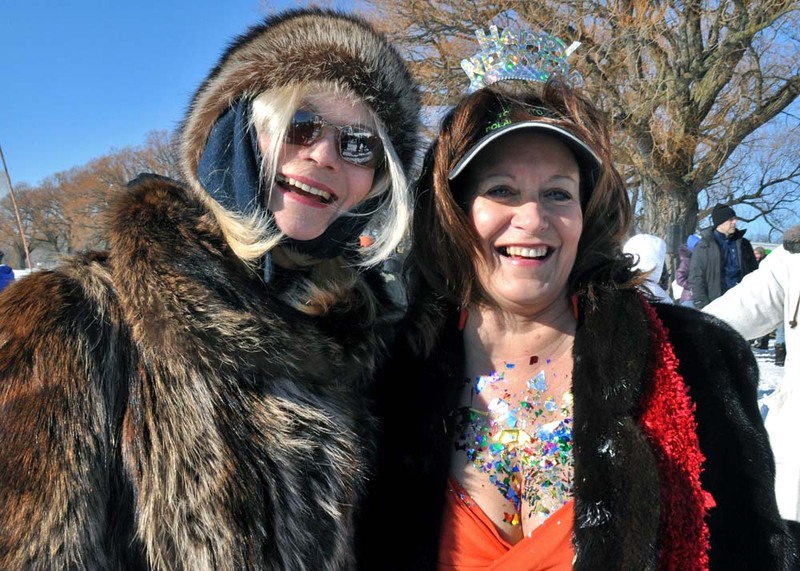 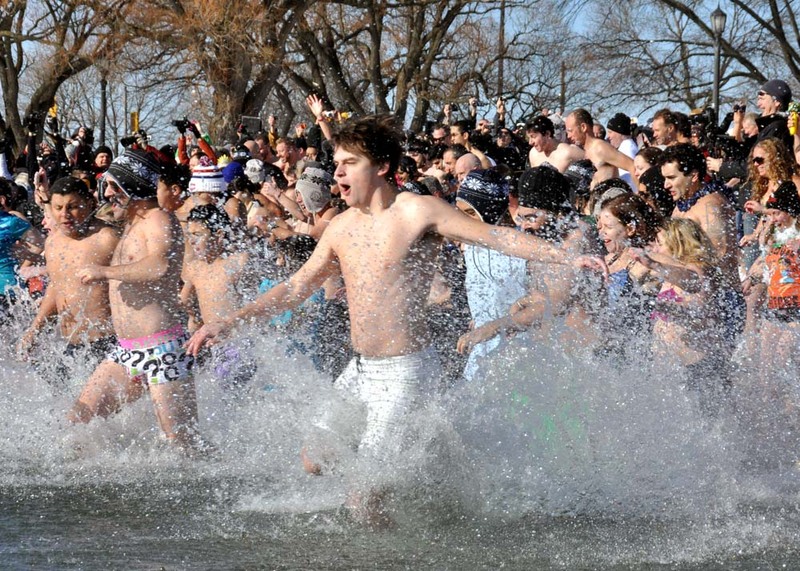 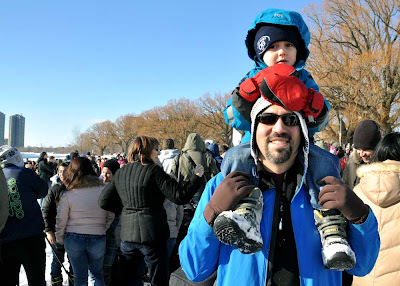 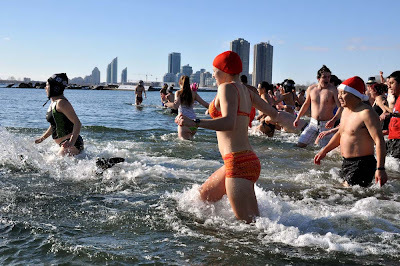 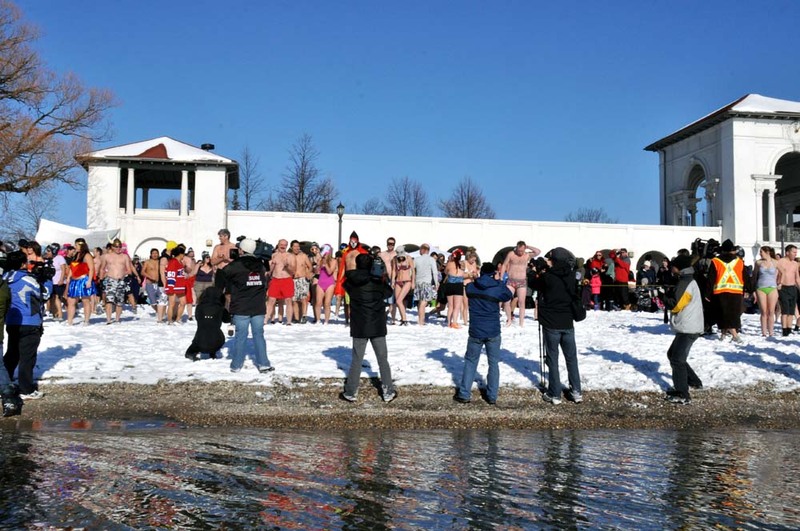 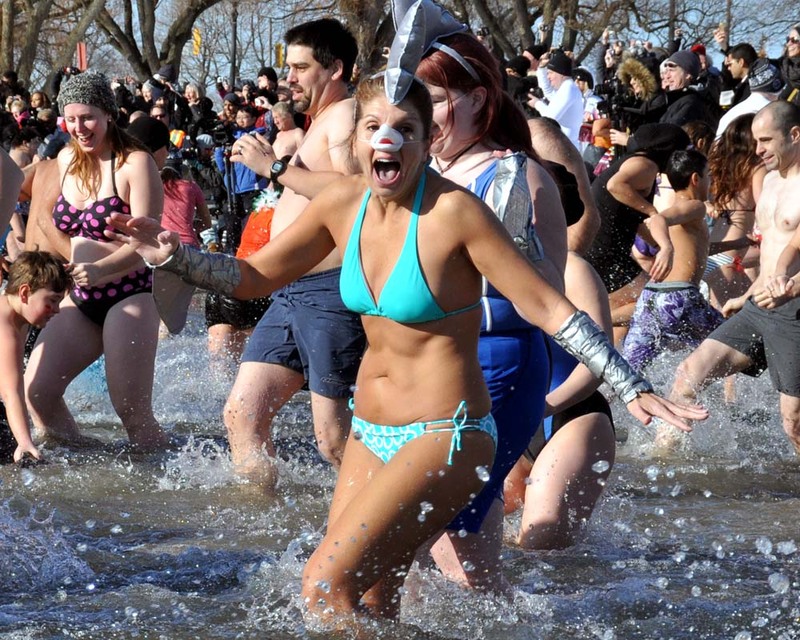 Update: See photos from the Jan 1, 2014 New Years Day Polar Bear Dip here. 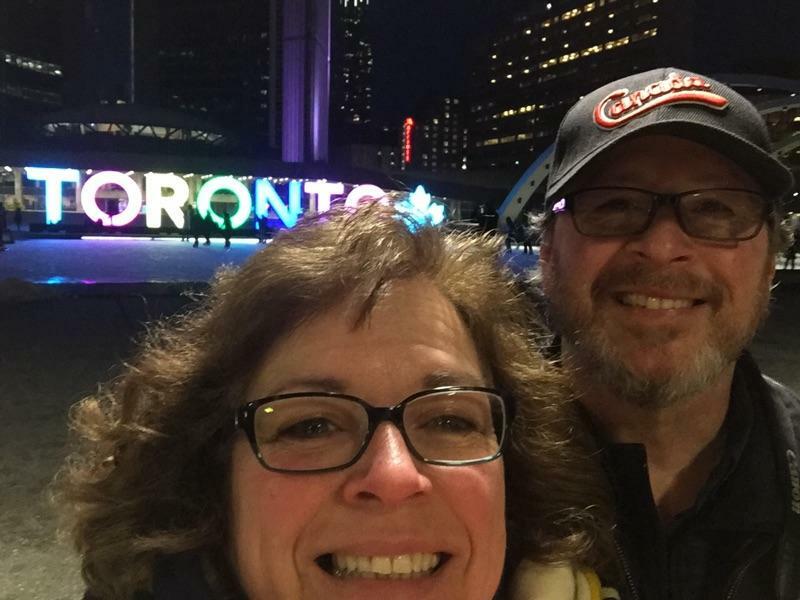 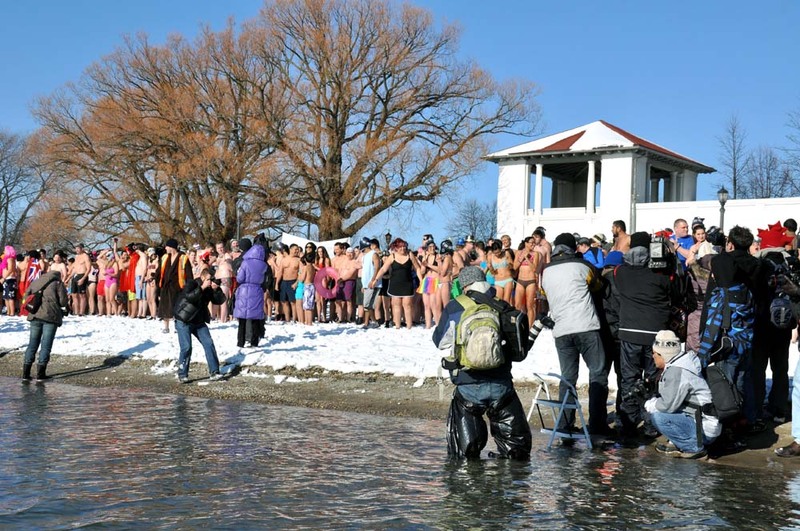 Wind Chill cut to the bone as people took off their clothes and got ready to swim at the #TOPolarBearClub in the cold, cold water of Lake Ontario. 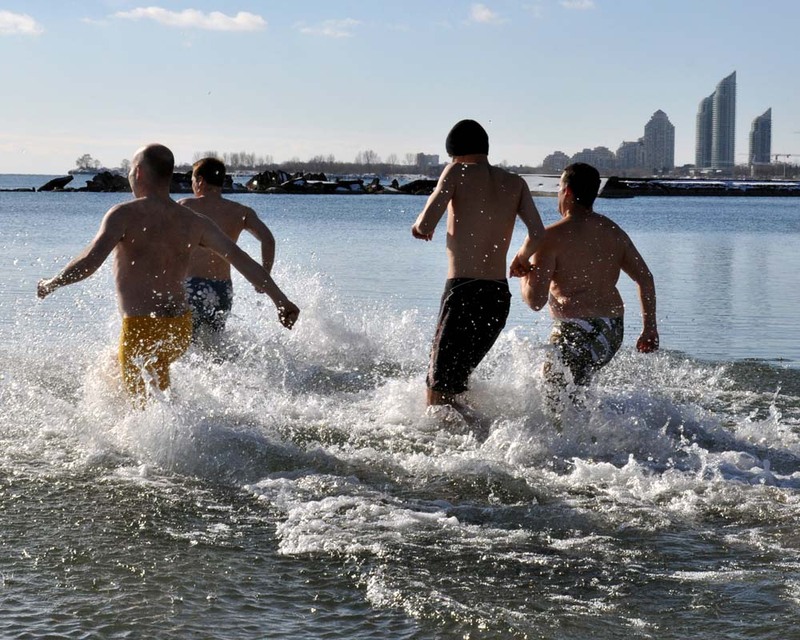 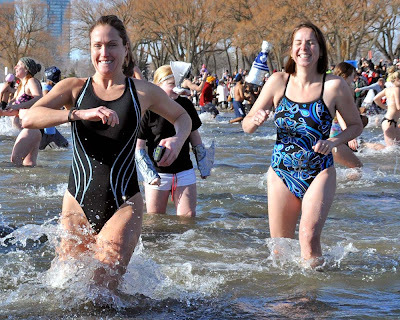 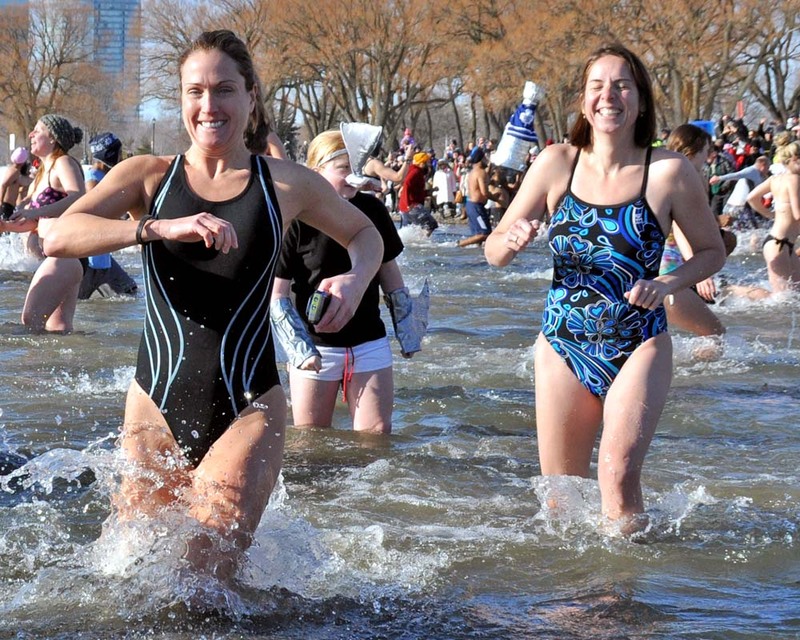 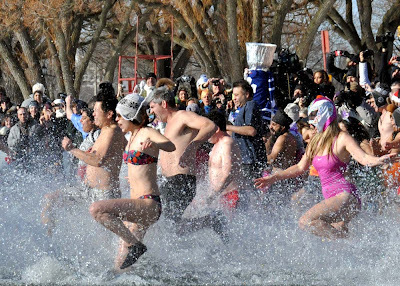 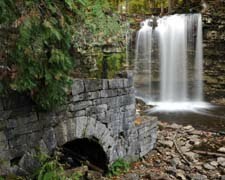 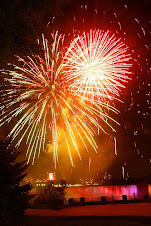 The annual January 1st run into the water at Sunnyside Park was a popular holiday event for many. 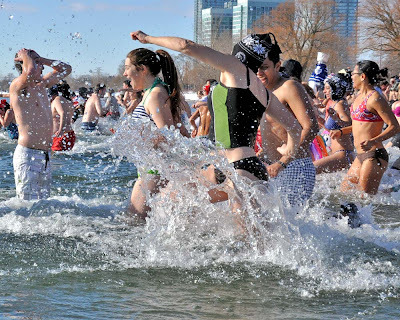 Before the brave mad dash into the lake the swimmers gather their courage with friends, family and the many supporters who came by to witness the running of the dippers. 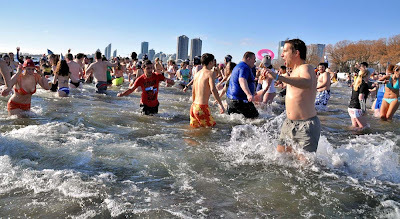 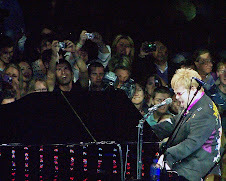 See more photos of the crowd and the swim after the jump.